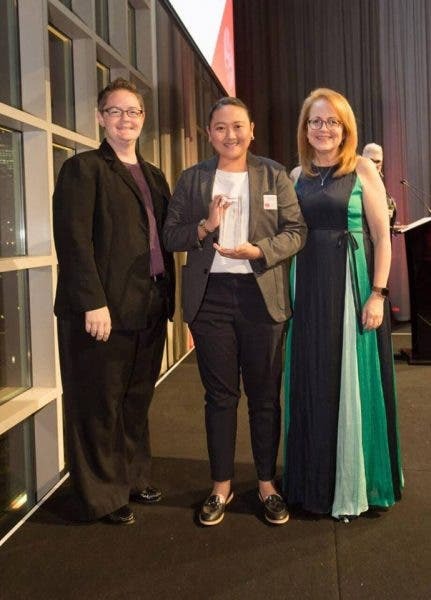 ABS-CBN’s “Wow at Saya” TV studio experience program, which gives guests a red carpet treatment when they watch Kapamilya shows live in the TV studios, bagged a Silver Quill Award from the International Association of Business Communicators (IABC) Asia Pacific in Melbourne, Australia. The journey of studio audience members begin online when they book slots via Kapamilya Tickets (ktx.abs-cbn.com). Once guests secure slots and arrive on their preferred schedule, they are welcomed warmly by Studio Tour guides who put into practice the “Wow at Saya” principles to make the experience of guests fun and memorable. This is the second international award of ABS-CBN’s “Wow at Saya” after it won a Gold Quill Award of Excellence in June at the International Association of Business Communicators (IABC) Gold Quill Awards in Montreal, Canada. In 2017, “Wow at Saya” also won in the customer relations category at the Philippine Quill Awards that recognized the best work in business communications in the country.